Engine is the heart of a car. There are a multiple engine types. But, what are the basic engine parts? 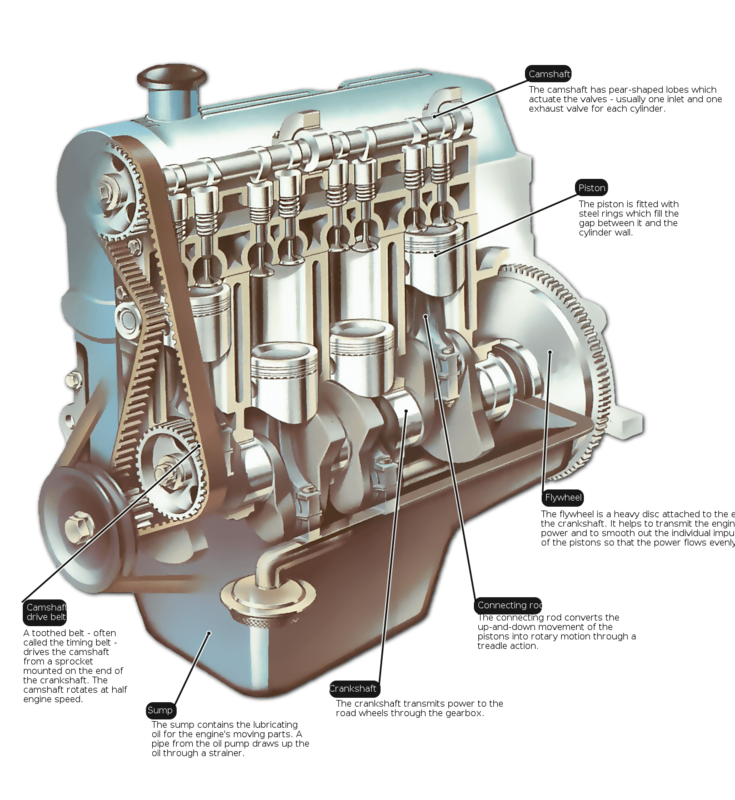 Engine is a complex machine built to convert heat from burning gas into the force that turns the road wheels. A spark ignites a mixture of petrol and compressed air inside a sealed cylinder causing it to burn and hence expand and thus provides power to drive the car. The detachable upper cover is the engine head which houses the injectors, valves and spark plugs. System that open/close inlet outlet port to control the flow of gases or fluids within an engine. Easiest way to understand a valve is when you turn on a faucet (tap) to brush your teeth, you’re opening a valve that allows pressurized water to escape from a pipe. Ignites the compressed fuel/air mixture by an electric spark in the cylinder. Delivers electric current from an ignition system to the combustion chamber to ignite the compressed fuel/air mixture while controlling combustion pressure.